After my first close encounter with Android Q I wrote an article pointing to some of the new features that are already driving me crazy (and not in a good way). I could not, however, just share my complaints. So, here's a list of news about Android 10 that, on the contrary, I find very interesting! Google released the first beta of the next Android version a few days ago. It is currently only available for a handful of smartphones. However, I have already been able to appreciate some of the interesting changes implemented by the Mountain View company. This is not a completely new feature, but it has been implemented in a much more practical and intelligent way, in my opinion. For some time now, Android has been presenting a forecast of the remaining charge of your smartphone in the Settings battery screen. For example, depending on how you use your device, it can approximate the time when your smartphone will no longer be usable due to insufficient battery power. Now Google has decided to display this information directly in the notification area, above the quick settings. A strategic positioning that overlaps the percentage of residual charge normally visible in the status bar, and that can be useful to adjust your use of the smartphone if away from a charger. If you often have guests at home, such as friends or relatives, this feature will definitely make you happy. How many times have they asked you to read the password of your Wi-Fi network from the label under the modem, or to dictate it aloud to them so they can connect and surf? With Android 10 Q, when and if you receive it, sharing your Wi-Fi network will be as easy and fast as scanning a QR Code! Because that's how it will work. From the Settings for your wireless network you can generate a QR Code. Simply share it with your friends, allowing them to scan it and they'll be able to immediately connect to the Wi-Fi. Fantastic! If there is something that has always been missing in the Android stock version (such as Android One or the version present on Google's Pixels) is the ability to fully customize the appearance of devices. Of course, with Oreo Google took a step forward by introducing Adaptive Icons with a shape that you can change according to your preferences. However, now the big G seems to want to finally implement its own Theme system. 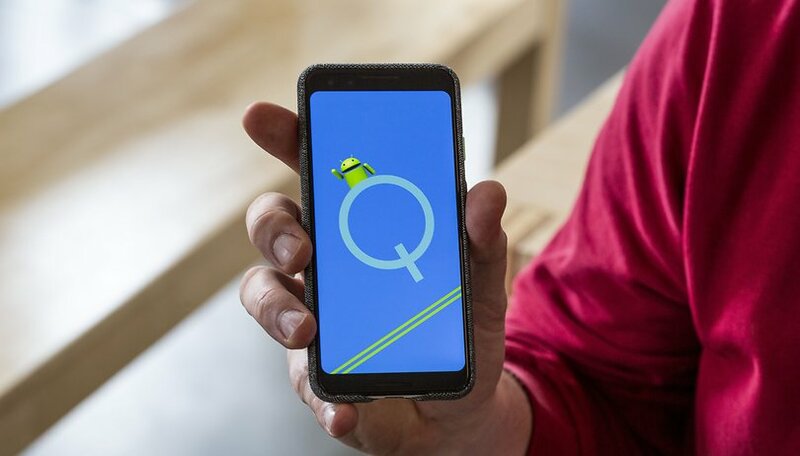 The function is currently hidden in the developer options, so I'm not sure if it will see the light of day with the final version of Android Q. However, it is already possible to customize the color of the system's accents, fonts and icons, even if the options are limited. The first time an application has access to your location, a popup will appear on the screen asking you if you want to block the access completely, activate it only when the app is in use, or allow the detection of the location even in the background. Of course, you can also change your choice later in the Settings. Which Android Q features are you eagerly awaiting? Let us know in the comments. lol still on the removable battery kick? dude, you are definitely due for an upgrade. things have gotten drastically faster and more efficient since you last purchased a phone. It's how capitalism works. It's ok though not to take part in the consumerism process, though unfortunately the time will come for a need to upgrade as apps become less stable. With the battery issue, manufacturers found they can make more money (and sales figures are important to them) by selling devices rather than batteries for older devices, they also found that the majority of consumers didn't buy a replacement battery. It's definitely a model that is going to be exploited but as consumers we have to change how we dispose of mass made devices. If they are 100% recycled and manufactures are liable for whole of life then maybe it will be sustained.